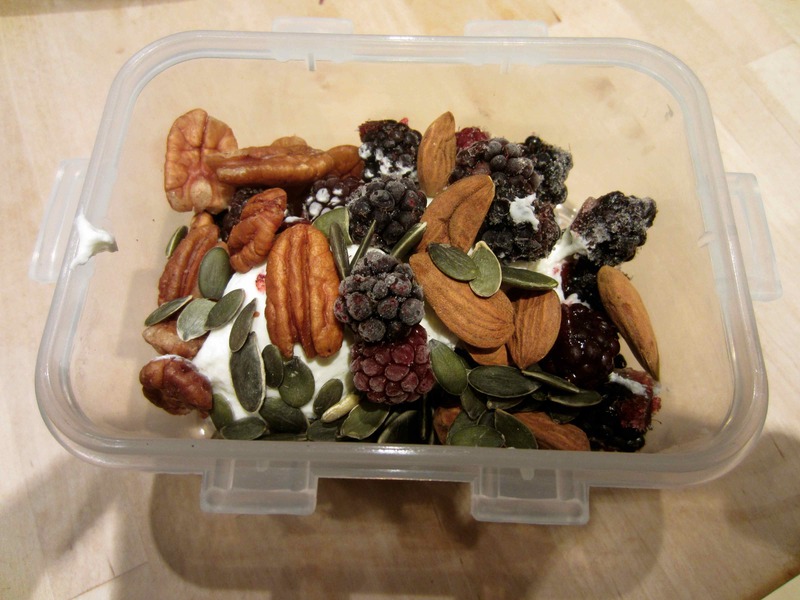 I have a fridge with lots of lovely yummy homemade food in it which has made packing a lunch to take to work very easy. I am writing this as I eat another easy meal which I prepared in 20 minutes after walking through the door after a long day at work. 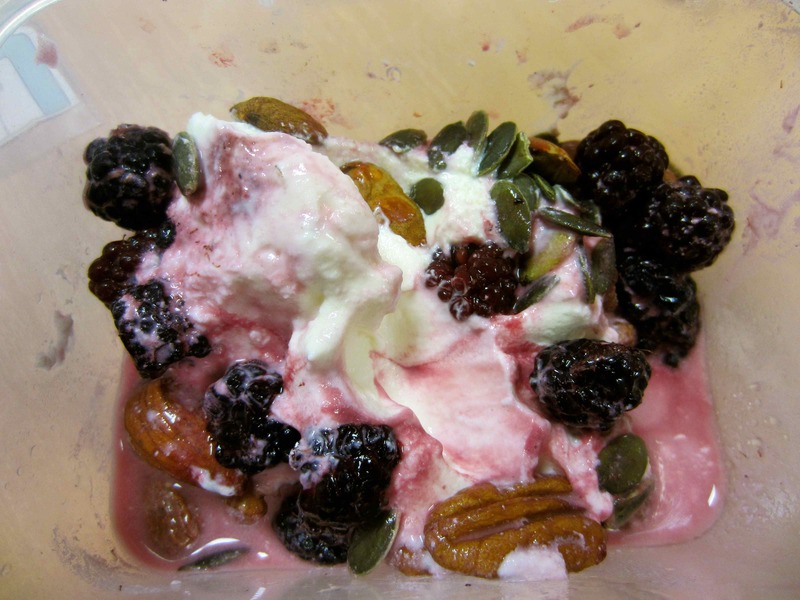 For breakfast I made a very modest sized portion of natural yogurt with some blackberries Harvey and I picked in September (and then froze) with just a few pecans, almonds and pumpkin seeds. It was tasty but I was very hungry as I had not eaten since the previous lunch time and this tiny little potful was just not enough.. After deciding about an hour later that I was definitely still hungry and not just being greedy, I went to Albion and got one of their delicious breakfast baps. 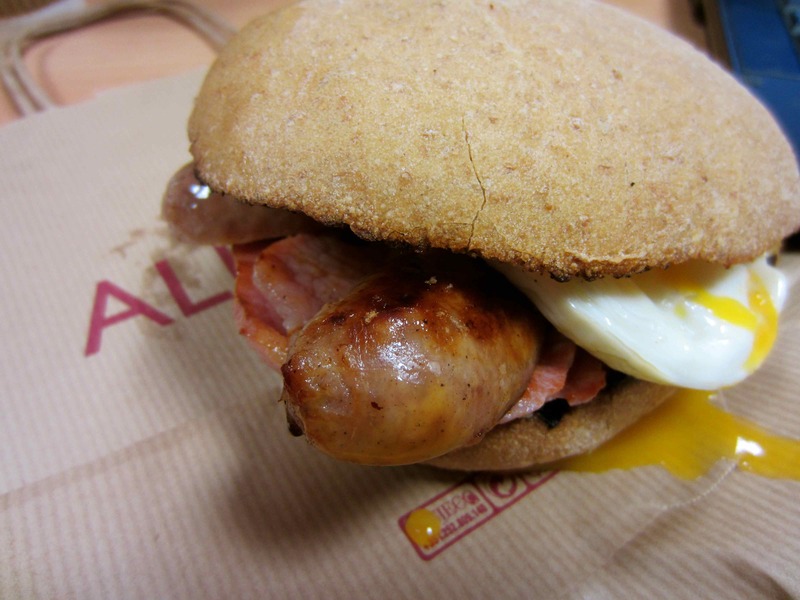 It had a sausage, bacon and a fried egg inside a wholemeal bap. Really good and that kept me going until the afternoon. I took lunch in from home. 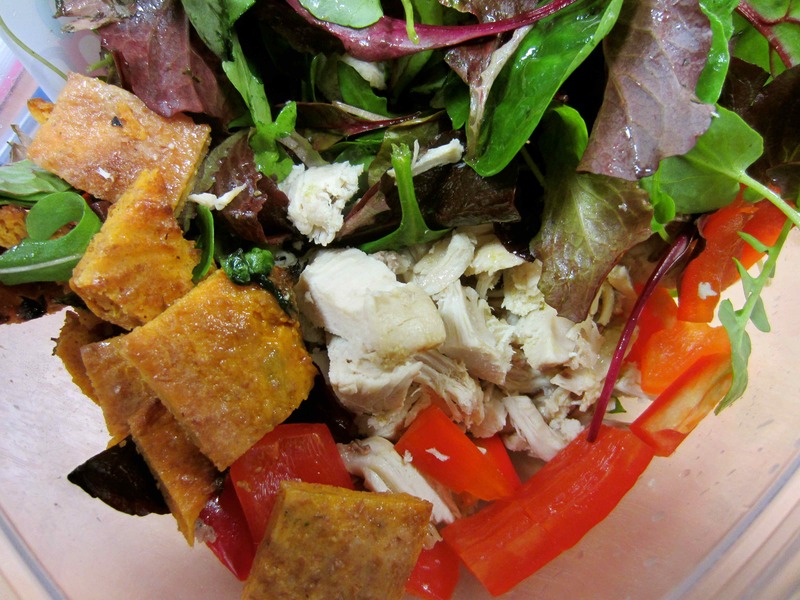 I had roast chicken, sweet potato flatbread, mixed lettuce leaves, red pepper and spring onion with salad dressing. 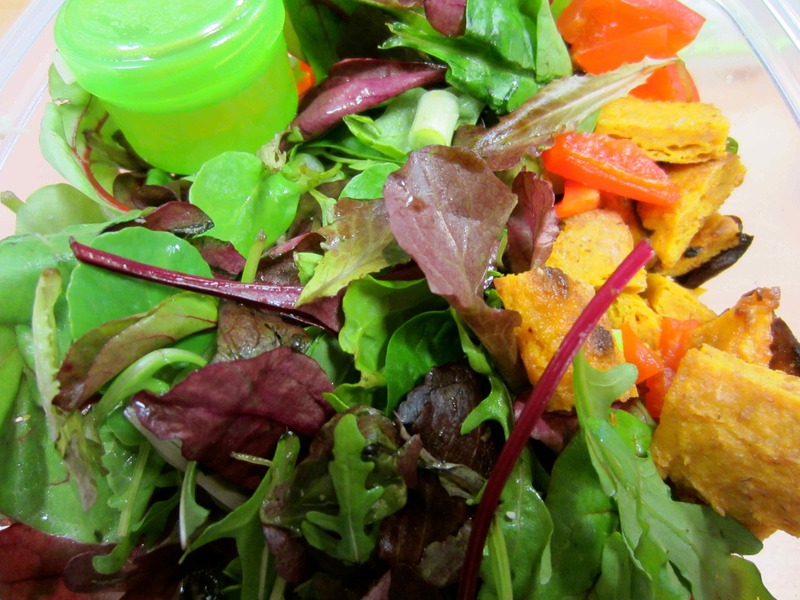 This dressing is my current favourite; 1tbsp each of olive oil, flax oil and white wine vinegar with a pinch of salt. The sweet potato bread worked really well cold and the sweetness of it was a good contrast to the tarragon chicken. I enjoyed every single mouthful of that lunch. Supper was very easy too. 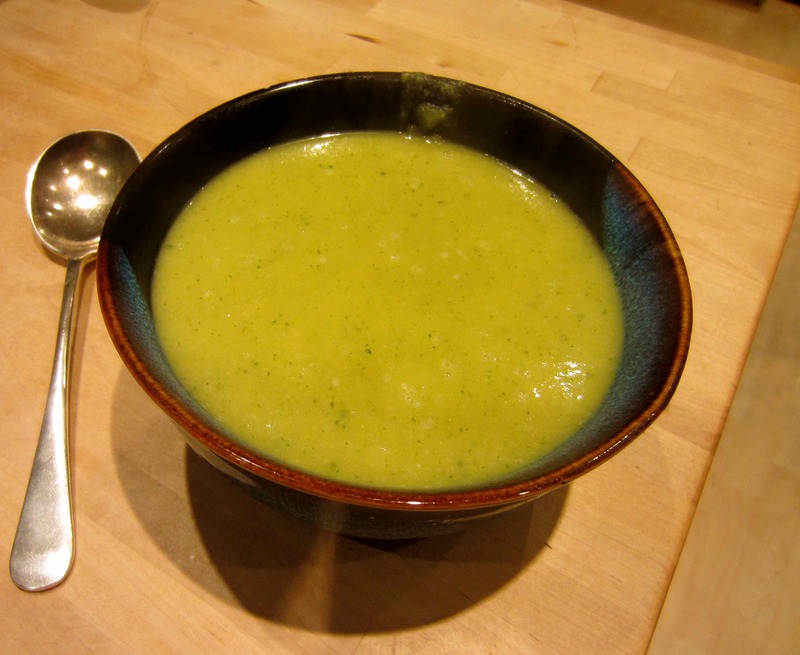 I made a butternut and broccoli soup. On Sunday evening I made a chicken stock which had turned in to a delightful wobbly jelly in the fridge. I heated the stock and added a chopped up butternut squash to cook in the stock. When the squash was nearly done I added a head of broccoli. I fried up 2 onions in some butter and 4 cloves of garlic. When the broccoli was nearly soft I added the onions and garlic to the stock and then blitzed the lot in the Vitamix. We wanted a smooth soup tonight. It was really good. Even better when I chopped up 2 more of the sweet potato flatbreads and added them to it. I am really pleased with today’s eating. I ate a lot of plant foods, most of what I ate I cooked at home and none of it took very long as I had made extra during the weekend. I admit the breakfast bap is not really diet food but while I am still getting over the sugar addiction, I can have what I like. Hopefully the scales will prove I am not over eating! 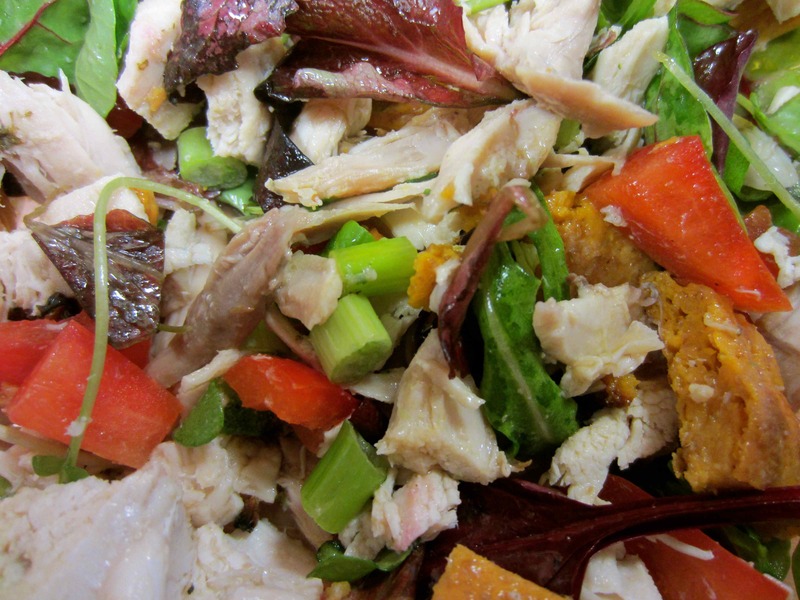 This entry was posted in Uncategorized and tagged Butternut Squash, homemade food, Salad, Soup, Sweet Potato. Bookmark the permalink. Oh, sorry you couldnt comment, but thanks for visiting and nice to meet another local blogger. Keep up the good work!